A huge thankyou to everyone involved in the GRACE Winter Tournament at Dorking Tennis Club. This is a well established fundraising event now in its 5th year thanks to the hard work of Maryam Coles and her team - Jeanette, Will and Alastair. 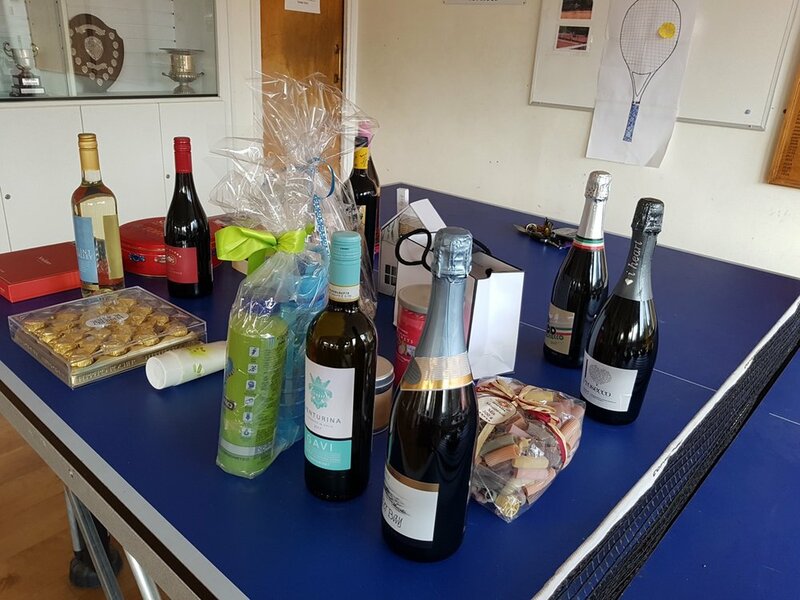 This year a total of £903 was raised for GRACE from entrance fees, sale of used balls, a raffle and product sales. This year the tournament took place on 30 March - a lovely sunny day — for a change! We would like to thank everyone who took part in the tournament — this year there were 44 entries and to all those who played in the finals. The tournament is competitive but also very friendly. The finals matches on the day were entertaining and threw up lots of surprises with some nail-biting finishes! You can read a comprehensive report here. Special thanks from GRACE to the organising committee, to everyone who donated cakes and sandwiches for the splendid tea and all those who donated raffle prizes — special note to the spectacular raffle prize of a piled up high chocolate and marshmallow cake from Joe Marshall - a great supporter of GRACE. Thank you Joe. Thanks also to the club coach, Brian Love, for making the presentations. We look forward to another great tournament next year. If you would like to be involved please be in touch with Maryam on maryam.coles001@gmail.com.